RVP Charters is the premier minibus, motor coach & charter bus rental company servicing Fort Lauderdale, Florida. Book your charter bus now by calling 1-718-779-1151. Road trips are the rage these days. Have you ever planned one with a large group? Well, if not, then this is the right time for you to do so with the help of RVP Tours. You do not have to take different cars or rely on public transport in a different city when you charter a bus. Whether you are a group of 18 people or 56 we have a bus complete with top amenities for each group. 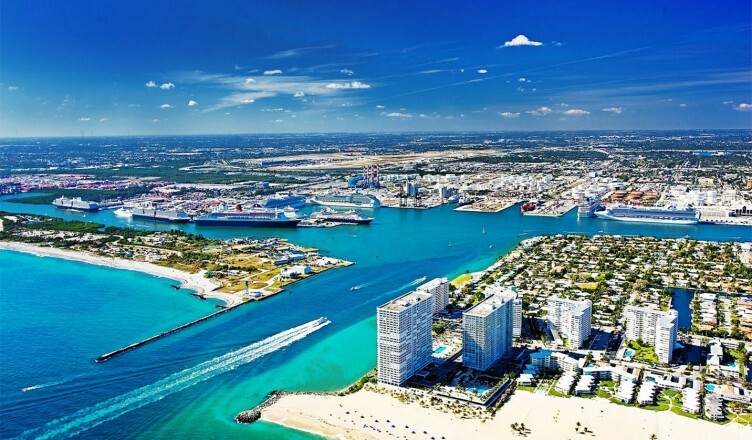 However, if you are flying in to Fort Lauderdale for a business convention then you can go for a charter bus, for your group. This way you will not have to wait for separate taxis or uber for a service. Bonnet House- it is a historic plantation home and attracts visitors from all around the world for its beautiful architecture and lush green lands. Your group can travel together to this place with a charter bus service. Here you will be able to see lots of artifacts, original art and furniture on display. You can take a tour of the gardens on the golf cart. This property is now used for concerts and university lectures. Stranahan House- this is the oldest structure of the city and thus it becomes a must visit too. It was used as a community hall and trading post during 1901. There is a 45 to 60 minute tour of the building displaying original antiques. South Beach- this is one of the most popular places of interest in Fort Lauderdale and attracts thousands of tourists. It has a bustling nightlife. There are high-end boutiques for shopping. This place is home for the American Riviera and Art Deco. You can find casual and exquisite fine dining restaurants here. Parker Playhouse- if you are a fan of live theatre, then this place becomes a must visit. The amphitheatre has 1191 seats and multiple performances in a week. It has beautiful interiors with hand-painted ceilings and vintage wallpapers. This theatre is modelled on 20th century designs with large archways and bright red seats. NSU Art Museum- the art buff in you will certainly want to visit this place too. 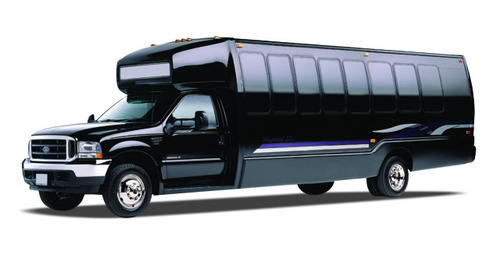 Therefore, if you have a charter bus, then shuttling between two places of interest will be easy and simple. It is a huge 75,000 sq-ft of modern building that features permanent and temporary exhibitions. Fashion from the 50s and 60s era is on display. The permanent exhibition includes ceramic and art of Picasso. If you wish to take a day trip outside Fort Lauderdale then you can also visit another city like Tampa, Orlando, Miami, Fort Myers etc. with the help of RVP Tours. If you are travelling in a group then, according to your group size minibus or coach will be the best way for you to travel. You will be safe, always together and have lots of fun with the help of RVP Tours. We have some of the best amenities on board the bus like WiFi, climate control ACs, recliner seats, foldable armrests, DVD players, restrooms and much more. In the end, RVP Tours are best equipped to handle corporate events, meetings, weddings, parties, school trip, church trips etc.